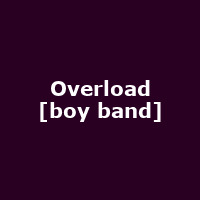 Overload are a band from the UK, hailed as "the UK's hottest new boy band" in 2013. The rose to prominence via YouTube and have a strong social media fan-base. Overload are Jordi, Andy, Joey, Ryan and Ollie and in 2014 the band made an appearance on 2014's the X Factor.